Of course, I can never manage to do a favourites post every month but I think the sporadic ones are good too otherwise, for me at least, I’d just be forcing it rather than actually sharing things I really am passionate about. So here’s what I’ve been loving over the past month or so from music to beauty, food to life in general. Petaluma by This Wild Life is my album of the year thus far and I’ve had it on repeat pretty much every day of July alongside Sunnyland, Mayday Parade’s new album, and The Nashville Sound which came out last year, by Jason Isbell and the 400 Unit. Three very different albums but I love them all soooo much and haven’t really listened to much else, save the odd new release or recommendation. I listen to music basically all the time, whether I’m working or walking to the shop or standing in the shower – I have to have a soundtrack to whatever I’m doing and I would wholeheartedly recommend any/all of these albums. I’ve not watched much TV throughout July (other than the world cup, obviously, which has been a massive favourite for me and made me so proud) but I’ve been hooked on Kendal and Josh’s Mile Higher podcast, where they discuss true crime and conspiracies and all sorts of things like that. I watch it on YouTube but you can get it on Spotify, iTunes and all those other podcast-listening apps. I’ve also been loving watching daily vlogs from all sorts of people on YT; specifically the Meldrums, Molly from Beauty Spectrum and Elle Darby's travel vlogs. I like seeing what other people are getting up to day-to-day, and often it leaves me quite inspired to do things. I’ve read a few books this month, too, and my favourite has definitely been The Storyteller by Jodi Picoult which is just incredible. In terms of beauty, I have fallen in love with IT Cosmetics’ new foundation, CC+ Illumination (full review coming soon) which is pretty much perfect, and I’ve been working my way through the haircare duo I received from Tropic last month which are still going strong. I’ve also been getting a lot of use out of my Charlotte Tilbury quads because they’re so easy to take around with you and also really easy to put together an eye look with no matter whether it’s day or night – they’re fab quality, too, and even though they’re pricey they last for ages. 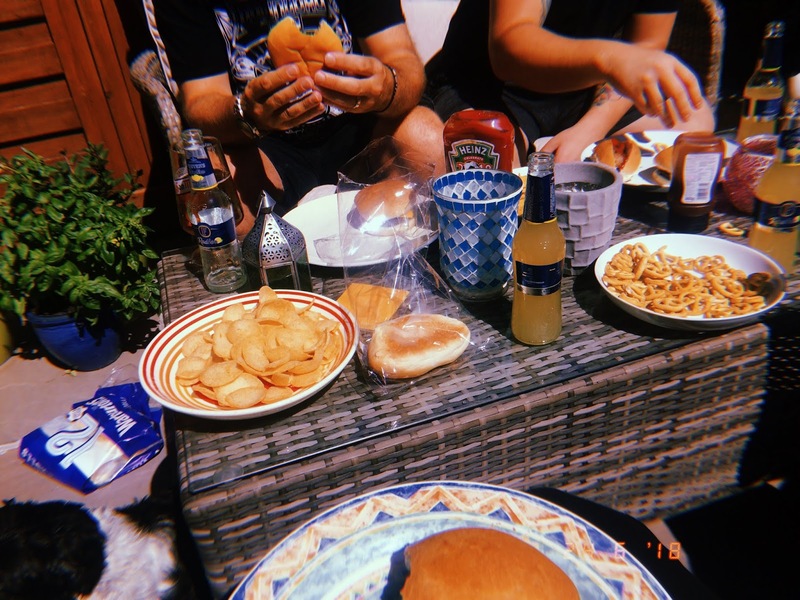 FOOOOD (and drink) – I’ve recently discovered the new Oven Baked Crispy Crackers from Walkers which are a bit like the baked pitta chips that they only seem to sell in Tesco, and they’re not as bad for you as normal crisps. And they taste delicious. I’ve also been getting through the heatwave with the help of Fosters’ Radlers, which are low in alcohol but high in flavour. Lol jokes they’re so refreshing though and totally remind me of being abroad. July generally has been a decent month; it was my birthday, and my celebrations lasted for ages. I had pub nights and meals out and a trip to Chester Zoo, and all round just loads of fun. I’ve written some cracking blog posts (imo) and been so lucky to receive some amazing books and make-up in PR, which will never stop being a pinch-me kind of thing. Keep your eyes peeled for plenty of book reviews, lipstick swatches and skincare musings over the next few weeks! Let me know what your favourite things have been this month – or if you love any of the same things as me.